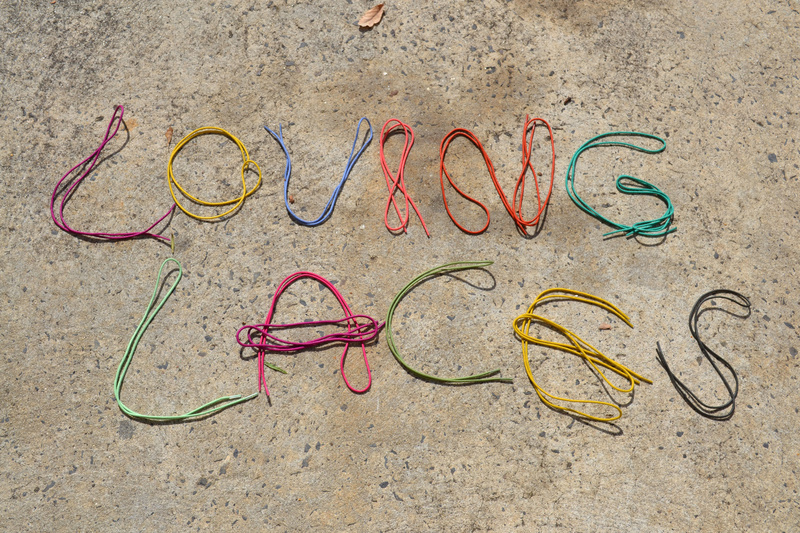 I fell in love with laces recently when I came across this selection whilst on a sourcing trip. From the above selection I chose 11 different colours for the store. 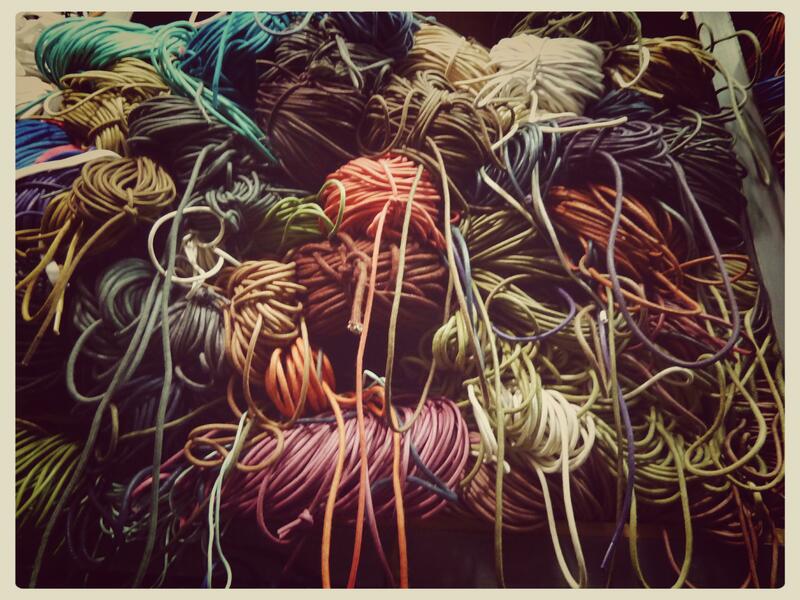 All the different coloured bundles are made from a single lace. You specify the length you want and someone hand cuts and finishes while you wait. Below are some of the colours that I ended up choosing. Playing with some merchandising ideas. 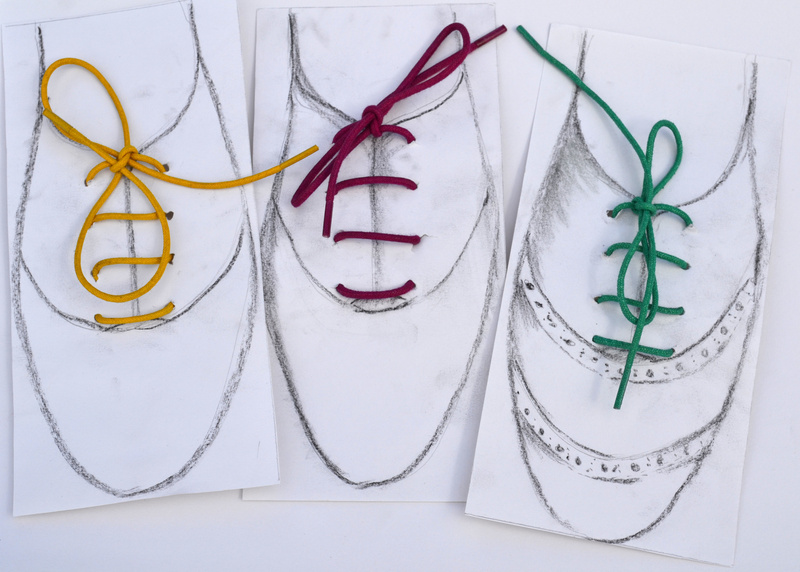 One idea is to lace them through a DL card with a sketch of our oxford (note the new brogue that is on its way). Continuing on a crafty note. 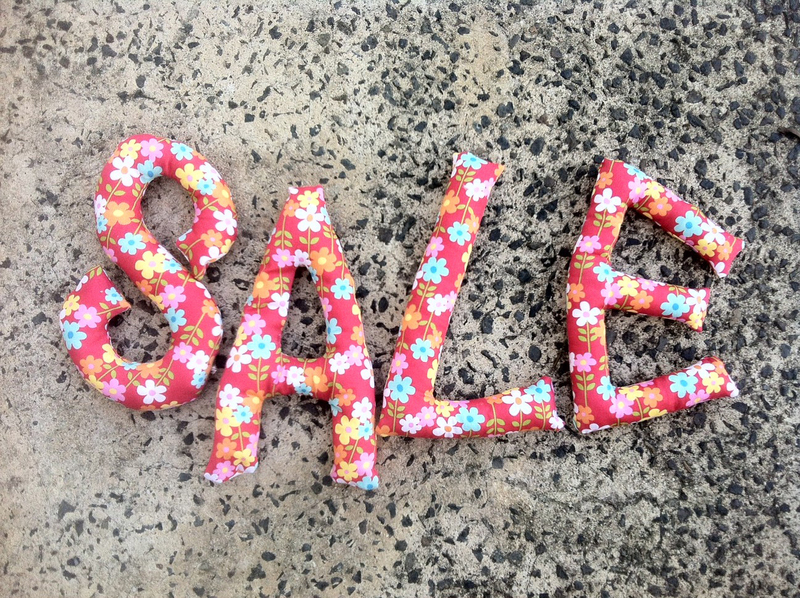 My sewing skills are very basic and I have NO patience, so my sewing machine usually only gets a run to make simple baby clothes (I have a serious obsession with liberty prints) but I did make this wonky sale sign for the shop not long ago. The asphalt in our car park is a very handy backdrop for our photos! I hope that everyone had a lovely Easter break. Next articleWhat Would Karl Do? Bared Footwear?